It's very easy to rename your saved screenshots. 1. 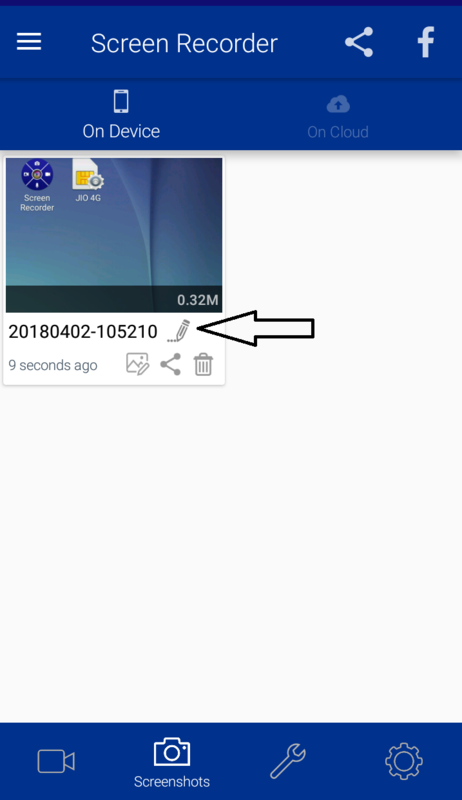 Open Screen Recorder app and go to "screenshots". 2. You will able to see screenshots captured by you. 3. You can see "pencil" shaped icon on every screenshot. 4. Click on the icon. 5. 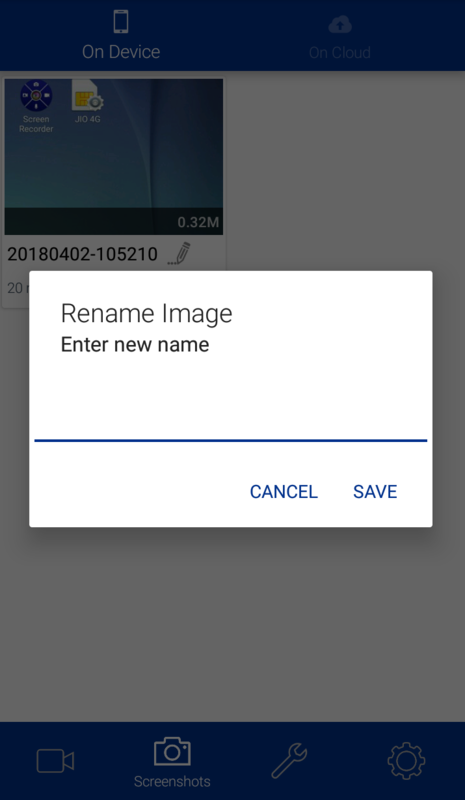 You can rename your screenshot and save it. 6. Watch the video tutorial below to know more.